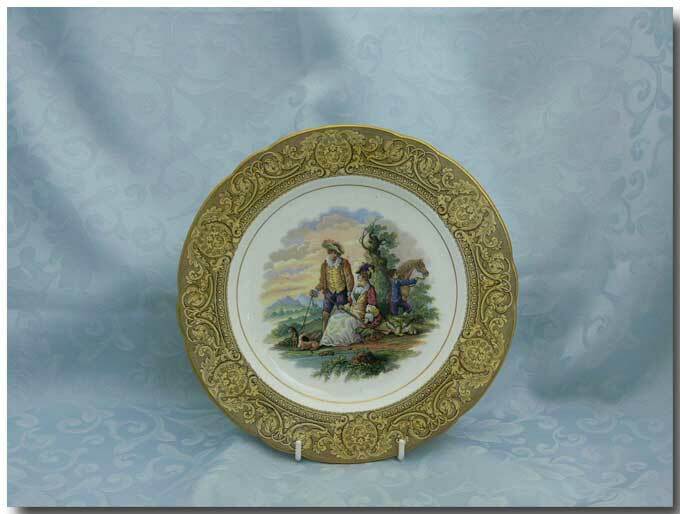 A LOVELY DESSERT PLATE WITH A POLYCHROME HUNTING SCENE BY F. & R. PRATT OF HIGH STREET EAST, FENTON, STAFFORDSHIRE. 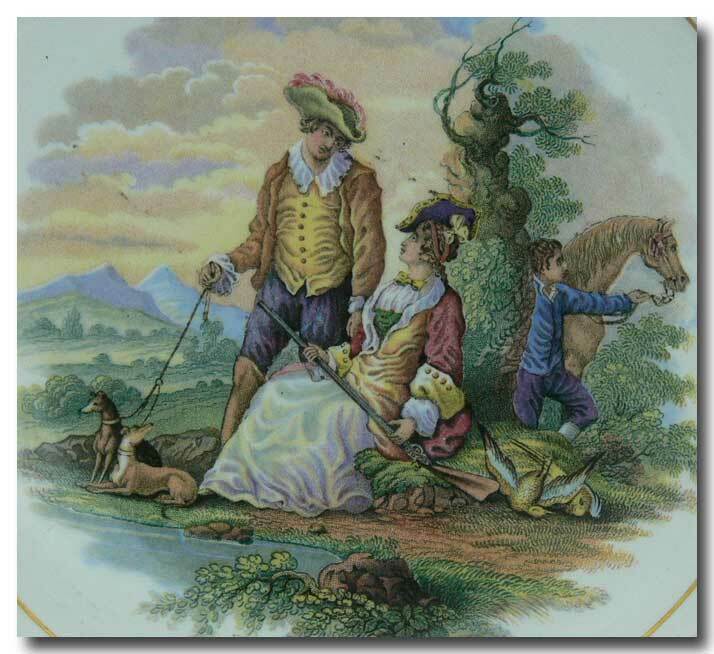 THE SCENE FEATURES A GAMESKEEPER WITH 2 HOUNDS, A LADY SPORTSWOMAN WITH A RIFLE AND AN ATTENDANT HOLDING HER HORSE. THE RIM IS SHAPED AND THE BORDER GILDED WITH LEAFY SCROLLS AND MASKS IN THE ROCOCO FASHION. THE UNDERSIDE HAS AN IMPRESSED MARK “19” AND A RED INK MARK “B/953”. 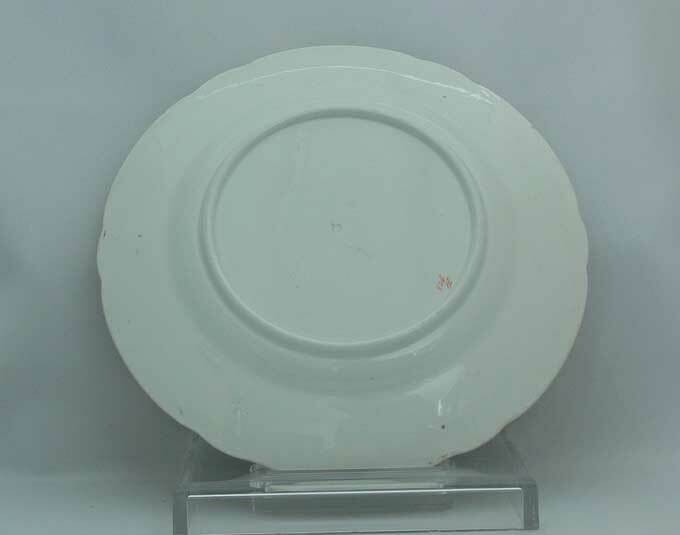 THERE IS A SMALL AMOUNT OF CRAZING BUT THE PLATE IS IN EXCELLENT PHYSICAL CONDITION WITH NO CHIPS OR REPAIRS. IT DATES CIRCA 1865. FELIX PRATT & HIS ENGRAVER JESSE AUSTIN PIONEERED UNDERGLAZE COLOUR PRINTING. SIZE APPROX: 9 INCHES IN DIAMETER.